1 Bdrm Top flr Flat. Hall. Lounge/Kitch on semi-open plan. Bdrm. Bathrm (CT band - A) . Garden. Parking. Price over £92,000 Entry by arr. Viewing contact solicitors. (EPC band - G). 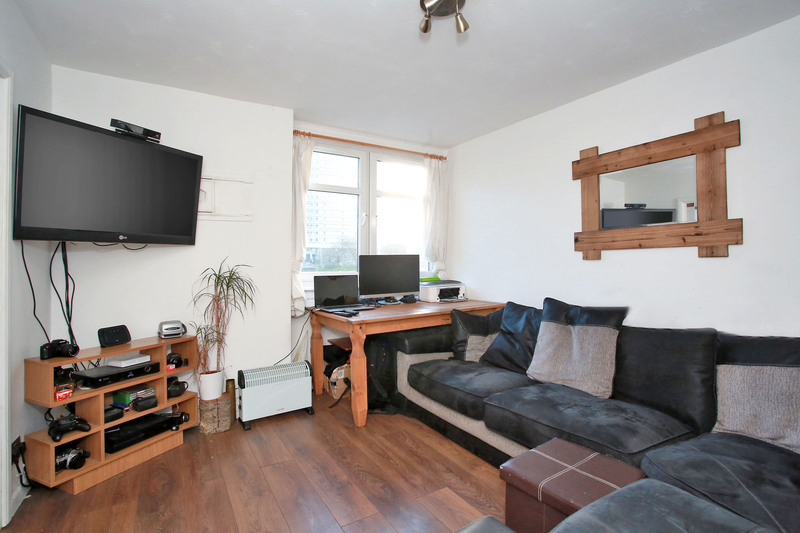 We are delighted to offer for sale this bright and well presented one bedroom, top floor apartment. 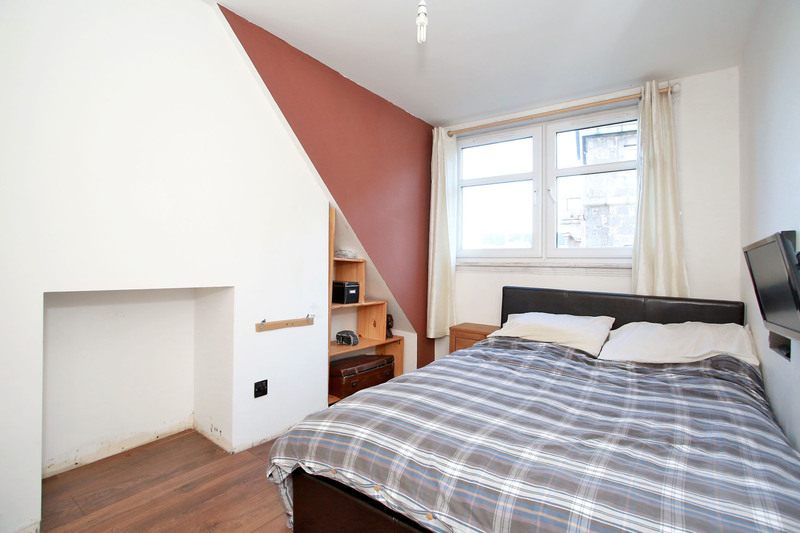 Situated within a traditional granite tenement building, the property enjoys a fantastic city centre location with excellent transport links, while on street parking is widely available. 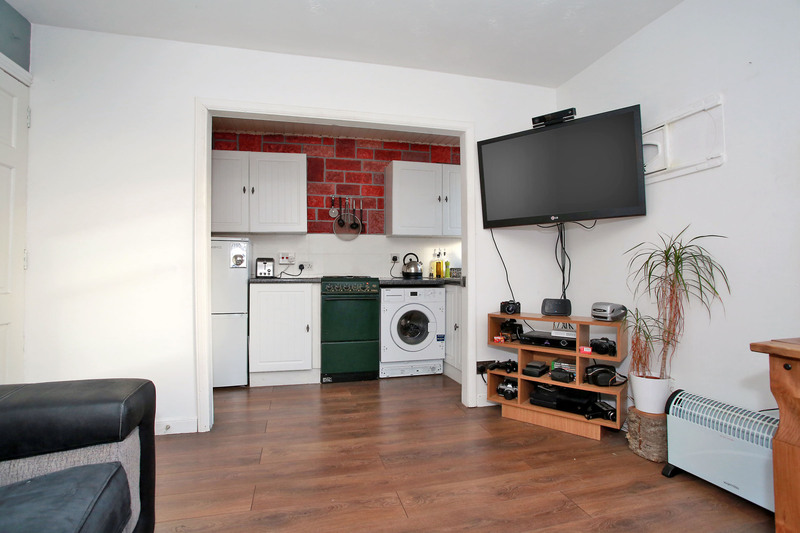 Of mostly neutral décor, the apartment is a perfect first time purchase or buy to let investment, being conveniently located for easy access to Aberdeen University and the North East Scotland College. Early viewing is highly recommended. Entry to the apartment is via the hardwood entrance door, which leads directly into the welcoming Hall. Providing access to all the living accommodation, the Hall is of neutral décor and laminate wood effect flooring. Fitted with a security entry handset, there is also access to the elevated electrics cupboard. From the Hall, a hardwood door leads into the bright and airy Lounge. A versatile living area, there is ample space available for large items of freestanding furniture. Of pleasant, tasteful décor, the Lounge is fitted with laminate wood effect flooring, while a double window overlooking the front of the building allows for plenty of natural light. 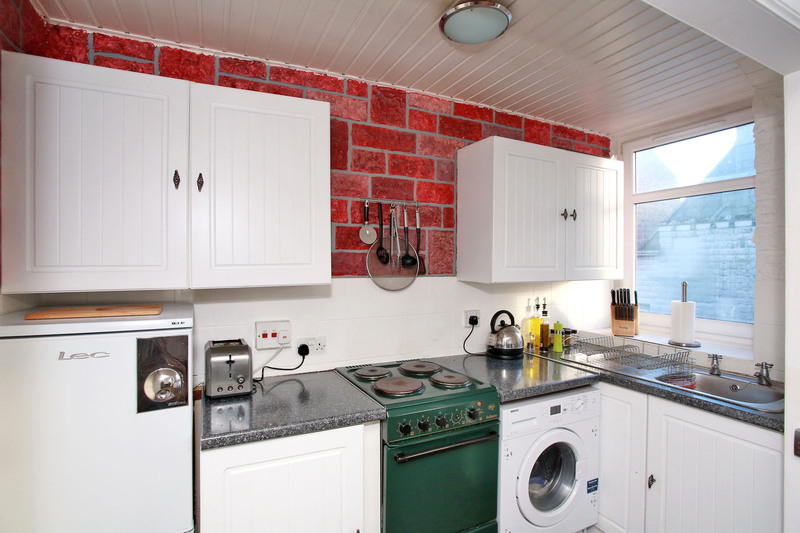 Partially on open plan to the Lounge is the well equipped Kitchen. Fitted with a good range of white wall and base units and white tiled splashbacks, granite effect roll top work surfaces incorporate a stainless steel sink with drainer. Within the Kitchen there are various appliances, including a “Belling Solitaire” electric cooker, “BEKO” washing machine and a “Lec” fridge/freezer. Within the Kitchen a fitted cupboard with wooden slatted door provides further storage, as well as access to the hot water cylinder and electric panels. Fitted with laminate wood effect flooring, a window with a deep tiled display sill provides views of Nelson Street. 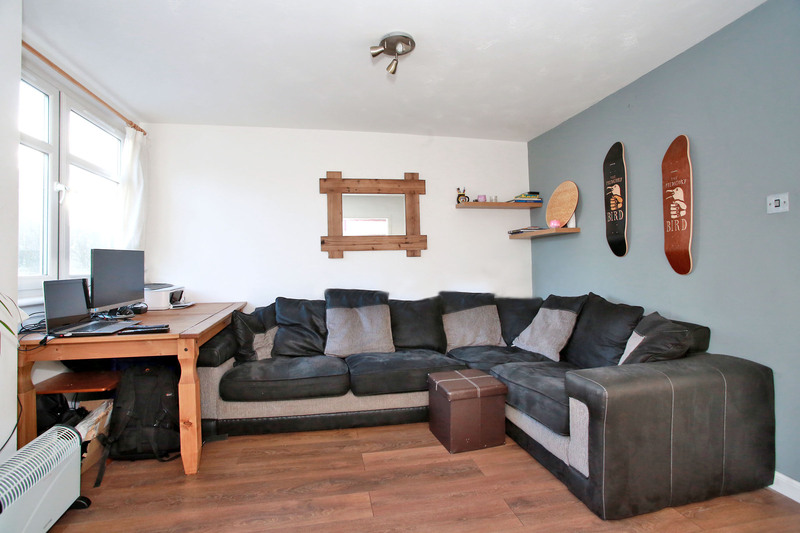 Overlooking the rear communal garden via a double deep silled window, the Double Bedroom is a well proportioned, bright living space fitted with laminate wood effect flooring. With space available for bedroom furniture, twin alcoves are the perfect size for a chest of drawers and other storage solutions. Completing the living accommodation is the Bathroom, which features a white three, piece suite comprising of a wash hand basin, WC and bath with a Triton Trance 2nd generation electric shower appliance above. Attractively tiled around the suite, above the wash hand basin is a fixed circular mirror and glass display shelf. Further features include a large frosted window with deep display sill, shelving and a chrome towel rail. Within the building, a carpeted hall and staircase provide access to the top floor accommodation. On the ground floor, a doorway provides access to the fully enclosed rear garden. On street, metered parking is widely available while a resident’s parking permit may be acquired from Aberdeen City Council (Zone J). Viewing is highly recommended in order to fully appreciate the central location and living accommodation available. 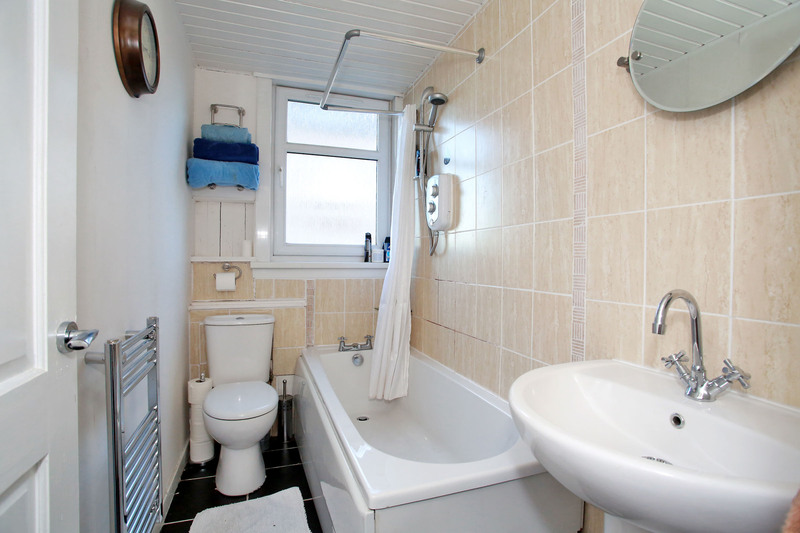 Further features include double glazing and security entry system. All fitted floor coverings, white appliances, blinds, curtains and light fittings are to be included within the sale. 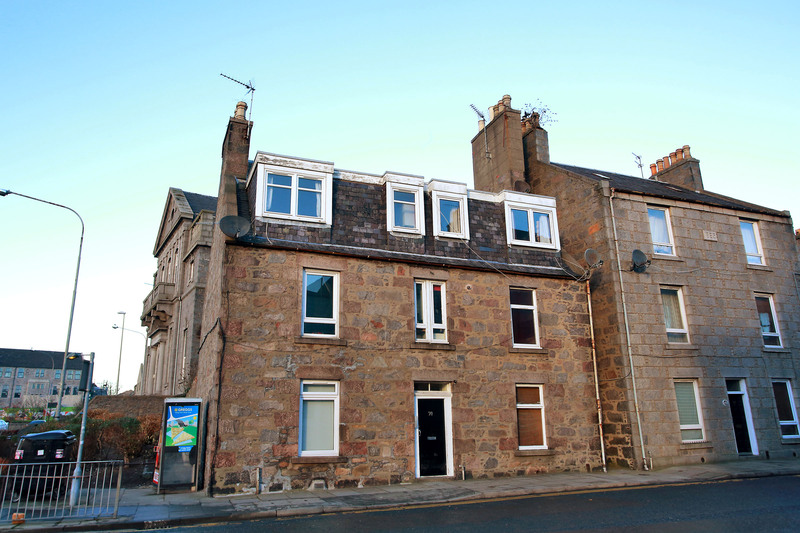 Nelson Street is situated within a well-established and popular residential area which lies within minutes’ walk of the thriving Aberdeen City Centre and its many recreational delights, including restaurants, bars and shopping centres. Suitably located to take advantage of the excellent local transport links, the property is ideal for access to King Street and thereafter Bridge of Don. Within minutes walk of the Morrisons Supermarket on West North Street, Aberdeen University, North East Scotland College and the local Hospitals are also within easy reach. Directions From Aberdeen City Centre, proceed along West North Street before reaching the Mounthooly roundabout. Follow the roundabout to the right, taking the third exit onto West North Street. Immediately before the traffic lights, take the first road on the left into Nelson Street, where Number 70 is the first building located on the left hand side, as is clearly indicated by our Mackinnons For Sale sign.